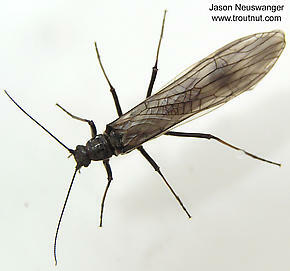 Like most common names, "Mottled Willowfly" can refer to more than one taxon. They're previewed below, along with 2 specimens. For more detail click through to the scientific names. These are pretty much always called Mottled Willowflies. Female Strophopteryx fasciata (Mottled Willowfly) Stonefly Adult View 4 PicturesSeveral stoneflies of this species were the first adult insects I found in 2004 when I started this site. The hatch was sparse but lasted a good part of the day, and I noted a few good rises despite the early season cold. They ended up struggling on the water's surface fairly often. These are sometimes called Mottled Willowflies. 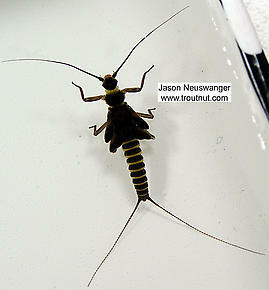 Strophopteryx fasciata is the most important species of Early Brown Stoneflies.